A twist has taken into the T20 World Cup story with a controversy sparked up by MP Kirti Azad. 3rd time sitting Member of Parliament from Darbhanga Bihar and a well known International Cricketer tweeted that he had received calls alleging fixed match between India and West Indies. And this wasn’t an isolated development. Early in West Indies’ innings, while visitors were at 51 for 2, R Ashwin was denied a wicket of Simmons because of a no-ball. 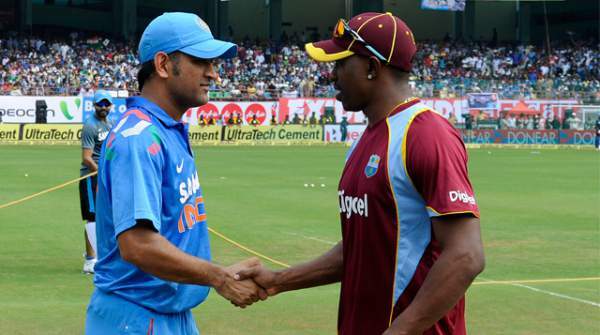 In today’s Ind vs WI match, West Indies beat India by seven wickets in the semi-final of the World Twenty20 competition. Batting first, India put up a respectable total of 192 runs in their quota of 20 overs for the loss of 2 wickets. Virat Kohli, who has been in splendid form all throughout the T20 tournament, once again played a brilliant knock on Thursday. He remained unbeaten at 89 in just 47 balls. Virat Kohli’s performance was almost Lendl Simmons today with amazing performance by both the players, they really worked it very hard to rule out the match. West Indies started very badly as they lost Chris Gayle early on. But Lendl Simmons, who played an innings of unbeaten 82 in 51 balls, single-handedly pulled the match out of India’s hands. England and West Indies will now meet in the final at Eden Gardens on 3 April. It would be interesting to see how International Cricket Council will take this serious allegation.